Recalls sound simple, but whether it's cars, infant strollers, or smartphones, too often they just don't work very well in practice. Take the recall of the Samsung Galaxy Note 7, which has a bad habit of bursting into flames. The company said last week that it had shipped half a million replacement phones to the U.S. and urged consumers to immediately turn their phone in for a new one. Sounds simple but it hasn't worked out well for many consumers. 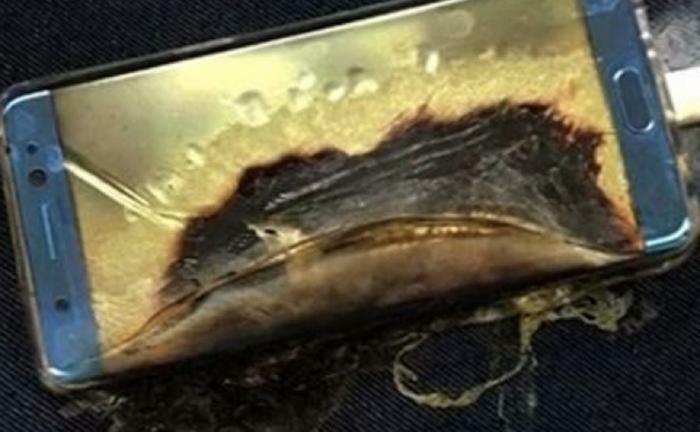 "Wasted hours of my time dealing with their support channels over a Note 7 recall," Matthew of Pittman, N.J., said in a recent ConsumerAffairs review (not yet posted at the time this story was filed). "Tried calling, using Twitter, direct messaging -- and got nowhere. Aside from the recall replacement phone having battery issues, they wouldn't even replace a screen protector I purchased for my original phone that was useless when removed from the recalled phone." "Samsung has confirmed that I have a defective phone from them. However, they will not replace it," said Kellee of Pleasantville, Ohio, "They expect me to send them my phone, wait for a repair, and then they will send it back. No help whatsoever, and I was told that if I am not happy with their process I should not buy Samsung products. Good idea people!" Thomas of Brentwood, Calif., has a slightly more complicated problem. He bought his dual-SIM Note 7 in Singapore. When the recall was announced, he contacted the retailer who had sold it to him. The retailer offered a refund but Thomas said he would rather have a replacement and quoted Samsung's web advisory -- http://www.samsung.com/sg/note7exchange/ -- which says phones will be replaced in the customer's country of residence: "Please contact the Samsung Customer Service Centre in your residing country for information on the exchange process in your residing country. We assure you that we will be assisting all Galaxy Note7 customers in the exchange, regardless of your residing country and the country where you purchased the device." Thomas contacted Samsung in his home country and, after several days, was told to contact the Samsung office in Singapore, which expressed surprise that the matter hadn't already been resolved. "After waiting several days, they said I can only exchange it if I send it at my own expense to someone in Singapore who is willing to bring it to Samsung and exchange it, then send the new phone back to me," Thomas said. "If they won't exchange a Note7 from Singapore outside of Singapore, then they should have said so, rather than lying to the retailer and lying on their website," Thomas said. "I've wasted almost two weeks on this nonsense and in the end, Samsung did absolutely nothing. Even if I did know someone in Singapore, the deadline for arranging an appointment is Sunday, and I have a lot of things to do, so I doubt I could get it arranged in time." Of course, it's not just the Samsung Galaxy Note 7 that can get hot. Other smartphones, laptops, and many other battery-powered devices can heat up. That's what happened to Lori's son, who is away at college. "My son woke up to his phone extemely hot -- hot enough to burn his hand. I cannot get through to anyone at Samsung. Multiple phone calls, emails, and perpetual hold." Lori, who lives in Marietta, Ga., didn't say what model phone her son had. If it's a Note 7, she should go to the Samsung recall website to arrange an exchange. If it's another model, she should ask her son to take it to the retailer or carrier from which it was purchased -- perhaps Verizon, AT&T;, or T-Mobile. The first rule of thumb for consumers is to be careful with battery-powered devices. Don't take them to bed with you and don't leave them lying around on flammable surfaces. If you take your phone or laptop on an airplane, turn it completely off. Oh, and finally, don't fall asleep with your phone in your pants pocket.